A pod of dolphins escorted us out as we sliced through the electric blue waters, departing Paradise Island near Nassau in The Bahamas. With 15 knots of wind, our jib was enough sail to pull us along through the small swells of water as we headed out to sea. 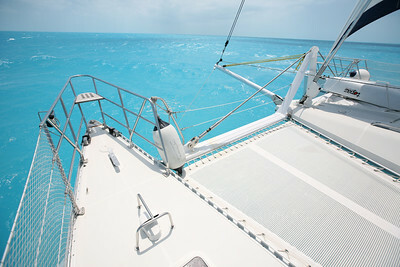 The joy and thrill of embarking on a 10-day, 1,700-mile voyage across the Caribbean Sea glowed from each of the four of us delivering this beautiful 65-foot catamaran sailboat to Panama City.